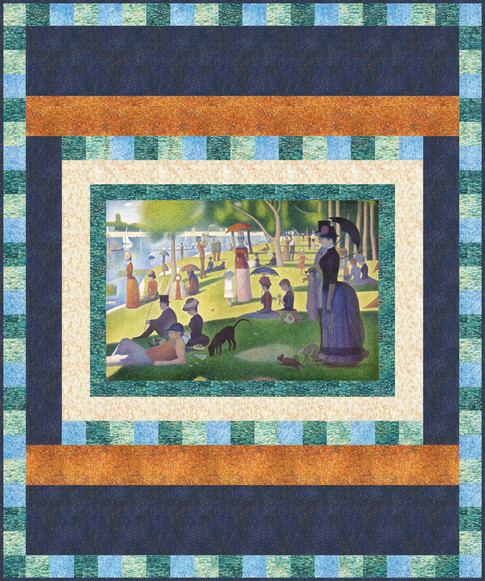 Visit the serene shores of Seurat's pointillist landscape with this elegant quilt kit by Kari Nichols of Mountainpeek Creations. 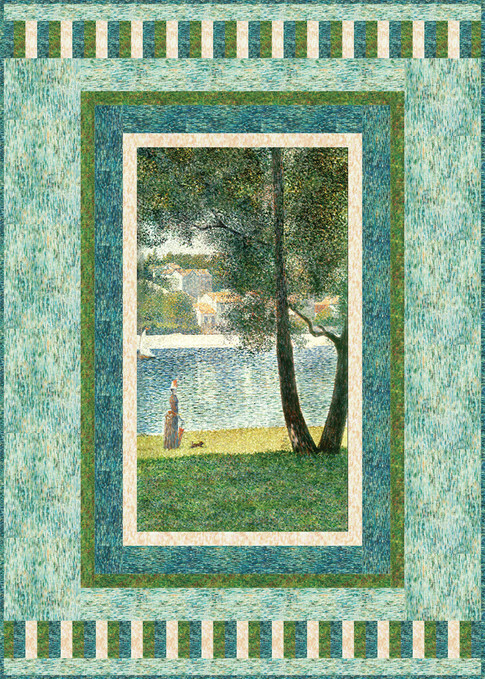 Panel kit contains a pattern and Seurat fabrics for the top and binding, by Robert Kaufman. Backing sold separately, 3 1/2 yards needed. 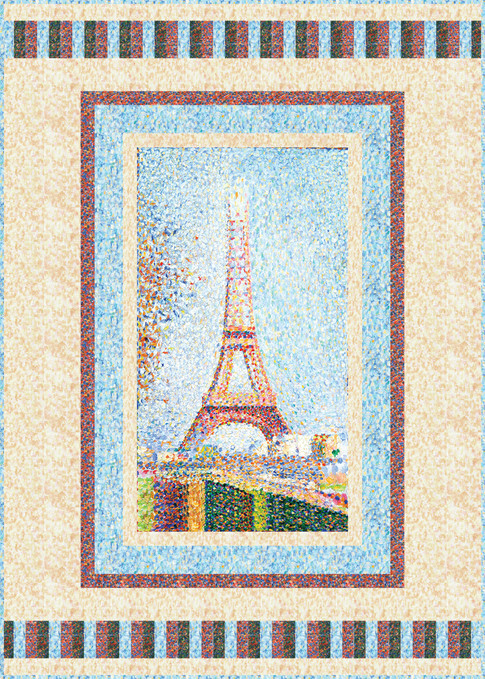 We recommend Seurat - Artist Series Blender Water Yardage. Finished Size: 53" x 71"